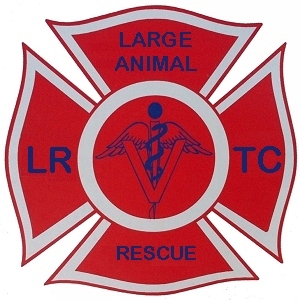 This information sheet is primarily intended for persons associated with or working with the LRTC Emergency Response Team, however the information may be useful to other groups or private individuals who may wish to similarly equip their own technical large animal rescue team. 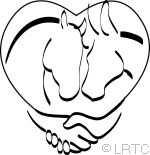 Historically, rescuers have used a steel strap guide, Nicopoulos needle or small J-hooks to pass under downed horses or similar livestock in order to safely pull drag or lifting straps under those animals. The hooks are too short to safely use when working from the "hoof" side of these animals. The steel strap guide has greater reach, but it has limited flexibility which makes it difficult to use in close quarters. 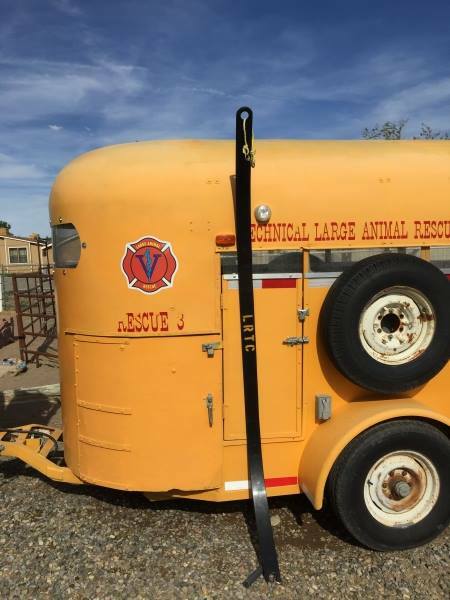 During training with the North Lyon County Fire Protection District, the fire fighters experimented by using the center strap from a break-away medical stretcher. 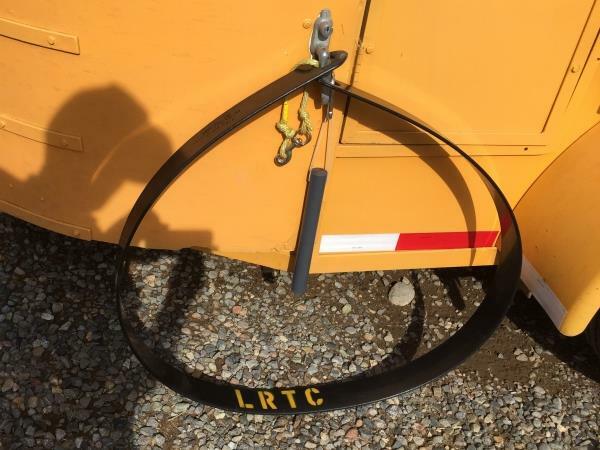 Michael Connell and Jerry Floyd developed the concept into a well designed reasonably strong but still flexible strap guide that so far has performed quite well in the field. The guide is strong but flexible. 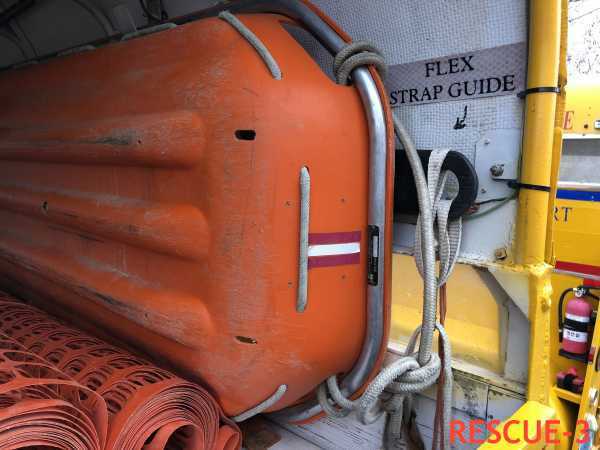 Flexible strap guides are carried on Rescue-1 and Rescue-3. The Flexible Strap Guide has holes at both ends. A high density plastic rod is provided to use as a T-bar handle when inserting and removing the guide. A small piece of rope or webbing can be clipped through the hole in the distal end to easily attach the strap that needs to be drawn under the animal. 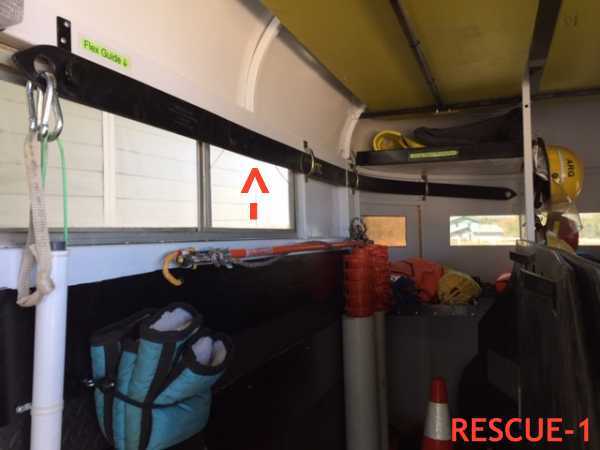 On Rescue-1 the flexible strap guide is stowed on the left upper side wall. On Rescue-3 the flexible strap guide is stowed behind the Stokes basket. 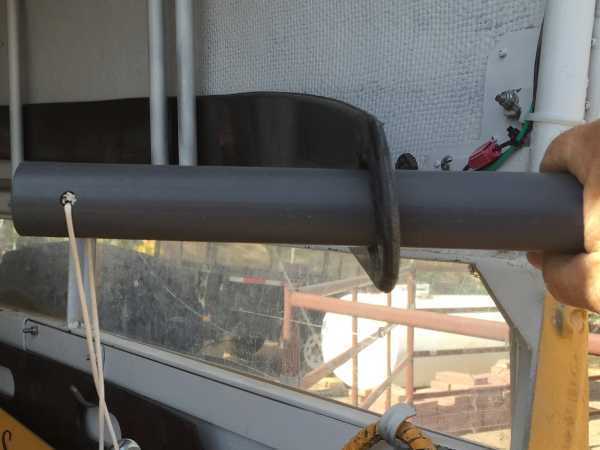 View of the T-Bar handle that otherwise hangs from the guide.